The writing rubric is located below. You can also download this file by clicking on the link to the right. While you are working on your science fair project, please use one of these helpful thinking maps in order to help organize your thoughts for the written part of your assignment. You can download the worksheet by clicking on the link next to this. 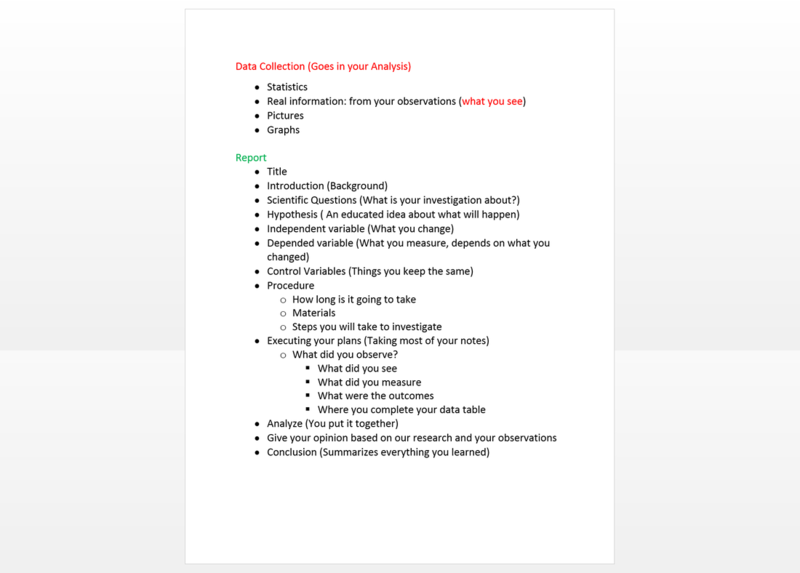 This packet provides a lot of great tips and pointers as to what you should include within your science fair experiment and report.